You may have the prettiest face, perfect height, and an ideal figure, however, if your arms are not shaped to perfection all your outfits will either be aimed at concealing the fat on them or if you don’t hide them you will be conscious about them. As much as we talk about accepting people no matter how they look which is a good thing, it is not that bad to look good and feel good about that. Cosmetic surgery has recently become very popular with the common folk. Though it has been discovered and practiced for many years now until a few years back it was considered as either a luxury of the rich or a necessity in case of a major medical reason. These days this notion has changed. Every other person who wants to look better in some manner is going for one or the other form of cosmetic surgery. Be it facelifts, nose jobs or the most famous liposuction. One very common and highly in demand form is the liposuction of arm fat. The reason behind this is that with age arms often accumulate fat which is not easy to shed off. Most of the diets are aimed at other body areas, and though there are exercises that may help you lose some of that arm fat it may not give you a firm and shaped upper arm. This is the reason upper arm liposuction is very common. 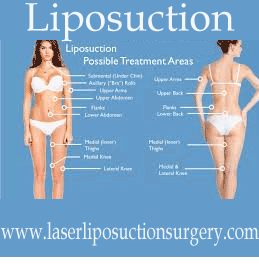 The procedure is similar to any liposuction, where the doctor based on your medical history, skin elasticity, and other medical factors will suggest a technique. Once this is finalized, on the day of the surgery your arms will be marked for the area which needs to be operated. Surgeons after take before and after pictures for you to see and compare after the surgery. Where a compression garment for a few days. Take leave from work for at least a week for recovery. Your body may leak some fluids even after the surgery so you may need to change clothes and sheets often. Bruising and swelling are expected with this surgery, however, you should keep a lookout for infections. Public water areas should be avoided until the wounds are fully healed and the surgeon gives you a go ahead. Though the swelling will go away after a few weeks, it usually takes a few months for the patient to see full results. If you are young and have good skin elasticity chances are that your skin will automatically adjust to the new shape given within a few months. If you are more aged or your skin elasticity is reduced due to other factors, then the skin left after removal of fat may not shrink automatically. For this, you can consult your surgeon and get a combination of arm liposuction and arm lift. The arm lift will remove excess fat and get you in even better shape than liposuction alone. A shaped body not only gives you a confident physical appearance it also definitely gives you a reason for a healthier lifestyle. There are some areas in our body from where no matter how hard we work it is impossible to lose fat. Even after struggling with a lot of exercise and diet we do manage to lose the weight it may not be in the proportion we hoped for and instead of getting perfectly sculpted curves we may end up getting oddly placed fat deposits. Liposuction is a great way to get the body of your desired shape as far as you understand what it exactly means and what you will get. Followed by a healthy lifestyle and exercise regime you can maintain the shape for a very long time. Laser Liposuction Surgery | Copyright @2018 Reserved.